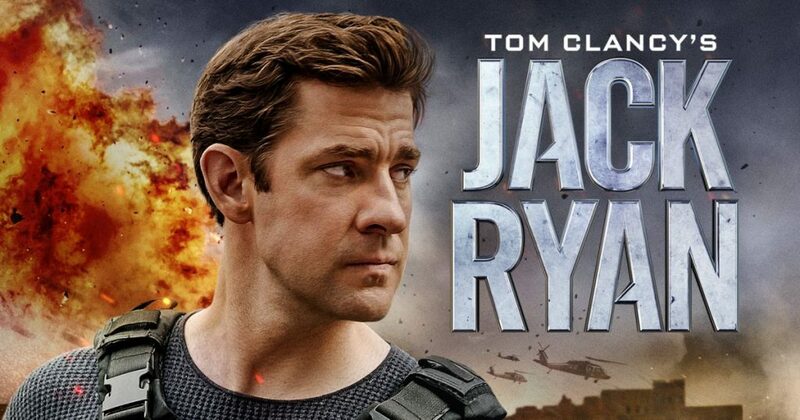 Jack Ryan season 1 dropped last week. The show is based on the novels written by Tom Clancy and stars John Krasinski, Wendell Pierce, Abbie Cornish, Dina Shihabi, Ali Suliman and many others. Overall, Jack Ryan is pretty great. One of the best parts about the show is the action. The reason these sequences stand out is the choreography and how realistic they are. In particular, the action sequence at the end of episode one is exceptional and the grenade scene with Jack Ryan, Suleiman and Ali that was in the trailers. It plays out really well in the actual episode and is super intense. Furthermore, the show has several intense moments over the course of the show whether it be the end of episode two, the gas station in episode 4 or the video game conversation in episode 5 or 6. I wish I could go more in depth but I’m trying to avoid spoiling the show. All I can say is that these scenes are well directed and the acting from John Krasinski and the others is great. Moreover, John Krasinski is normally great in this and was a good choice for the role. However, my biggest flaw with the show is how it suffers from the Black Panther problem. I love Black Panther but my biggest issue with the film is that T’Challa is not half as interesting as Kilmonger, Shuri, Nakia or Okoye. Jack Ryan suffers from the same problem. The titular character isn’t even close to as fascinating as Wendell Pierce’s Greer or well-written as Suleiman or Hani. Another issue I had with the Jack Ryan character was the romance subplot the show had. Abbie Cornish does a decent job with the role but the relationship seems so forced at the start that it slows down the momentum of the show. It got better towards the end and I’m hoping the writers can focus more on Jack Ryan and try to make the relationship with him and Cornish’s character feel more natural next season. Another pointless subplot involved the Victor Polizzi character. In fact, that arc has absolutely nothing to do with the main story for the season. It was extremely unnecessary and didn’t add any impact whatsover. It felt like the writers were trying to fill up the run time and decided to add this plotline in an attempt to make the episodes longer. One of the strongest aspects of the show was the Suleiman arc and the writing for the character. Despite him being a terrible person for obvious reasons, such as being a terrorist, the writers managed to make the character more complex and whenever he was on screen, it got super interesting. I also felt his wife Hani was a fleshed out character. She had a very engaging arc this season and her relationship with her children was fantastic. There is one scene in Turkey which the actress absolutely nails. I’m a huge fan of Suits so getting to see Wendell Pierce in anything is great and he nailed it as Greer. He was definitely one of the best parts in my opinion. Although the show had some great character work. There are a couple of logic flaws in the plot. Some things that happen don’t make sense and contradicts what happened before. But, this only happens a couple of times for minor things so I’m willing to give it a pass. What I’m not going to ignore is the plot convenience in the show. Quite a few things happen in the show that don’t make a lot of sense and I feel like the writers could have done a better job. The show does end well though having solid set-up for a second season that is probably going to explore a completely new political theme. The set-up gets me excited for next season as it does have a lot of potential. My favourite episodes were the pilot and episode 5. In my opinion, the pilot did a good job setting up the tone of the show and the plot lines and character arcs. Episode 5 in my opinion was the most intense and was a nail-biter. The show does slow down a bit in between these episodes but not enough to impact my overall enjoyment. To conclude, Jack Ryan is a great show with incredible action sequences and good character work. It can improve upon this first season by focusing more on Jack Ryan and cutting out useless side stories that don’t develop the main plot. I’m going to give Jack Ryan a B+.